The state adopted the motto in 2006. Contending Florida's school children need closer ties to the state's foundations, a state House subcommittee on Tuesday unanimously backed a bill to require the posting of the words "In God We Trust" in a "conspicuous place" at all public schools. "It's important for our students to realize the civic history of our state, and one portion of that history is the fact that we do trust in God," said Rep. Ralph Massullo, a Citrus County Republican who is co-sponsoring the measure. Rep. Larry Lee Jr., a St. Lucie Democrat, shared the sentiment, observing that too many youth don't go to church or even respect life. "We look at what has happened to a lot of our young people today," Lee lamented. "We're taking God out of everything. This country was built on God." The bill's primary sponsor is Rep. Kimberly Daniels, a Duval County Democrat who last year spearheaded the "religious expression in public schools" legislation that Gov. Rick Scott signed into law. Daniels, a pastor who founded Kimberly Daniels Ministries International, presented her bill as in keeping with Florida's history. She noted that the phrase "In God We Trust" first appeared on a two-cent piece in 1864, and was placed on paper currency in 1957. "The motto is inscribed on the wall of this great Capitol," she added. "It should be displayed so that our children will be exposed and educated on this great motto which is a part of this country's foundation." 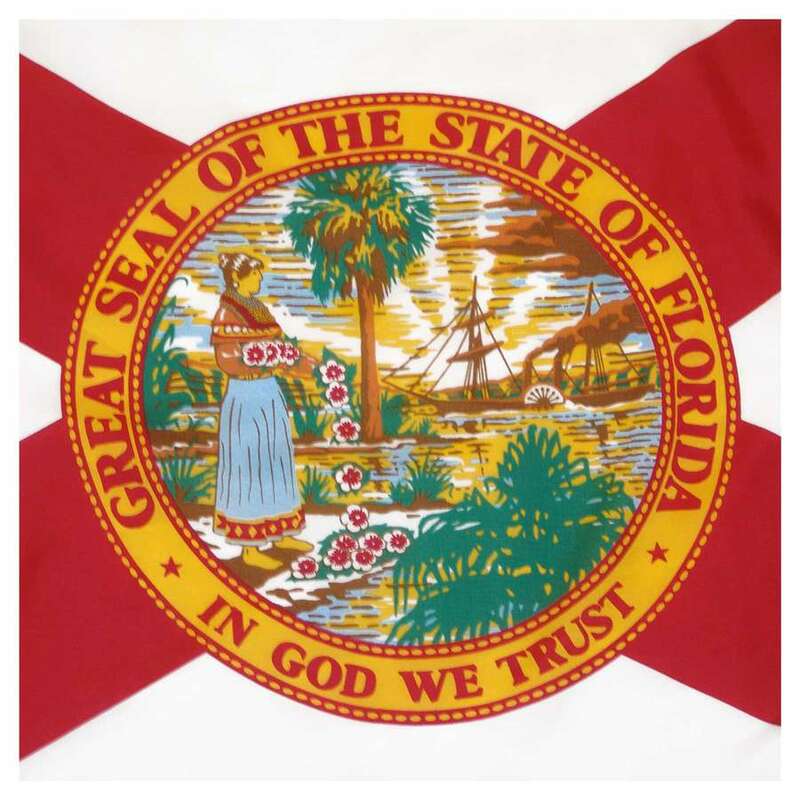 According to the Florida Department of State, the phrase first appeared on Florida's flag as part of the state seal in 1868. Lawmakers adopted it as a state motto in 2006. Monroe County parent Sue Woltanski, a public schools advocate and activist, told the PreK-12 Innovation Committee that schools already display "In God We Trust" every day. "Current statute satisfies the requirement to display the state motto which is, of course, on the state flag," Woltanski said, suggesting the committee spend its time on "real education issues." Maggie Garrett, legislative director for Americans United for Separation of Church and State, meanwhile cautioned that lawmakers best think twice about this proposal. For while they profess that it's about the state motto, their comments say otherwise. "They know what they're doing," Garrett said. "They're saying it's important, and we need to trust in God and we need to bring God back. … Those are really religious concepts and ideas, and it's a religious purpose." And that, she said, runs counter to court rulings prohibiting schools from promoting religion. "Not all kids in Florida public schools believe in God," Garrett noted, and they shouldn't feel pressured while in school. The bill next heads to the House Education Committee. An identical Senate version has yet to be heard.